Being the linkage between rider and snowboard, a pair of good snowboarding boots is the key to great snowboarding experience. Picking the right boots is just as important as (or I would say, even more important than) choosing the right partner to the holiday – it’s gonna either make or break your white day. In this article, I’m going to show you how to choose the best snowboard boots that fit. In total there are three important factors that are worth considering. In the meantime, I’ll also recommend some of the best boots available in the market. See more below. Burton Felix BOA Snowboard Boots Womens – a light, warm, medium flex boots with double Boa laces, suitable for advanced and expert-level riders seeking for high performance. DC Snow Women’s Karma Lace Up Snowboard Boots – medium flex boots traditional laces, great performance and yet very affordable price. Suitable for all-mountain riders. Burton Mint Snowboard Boots Womens – warm and comfortable soft flex boots with a quick pull lacing system. Suitable for beginner, intermediate, freestyles and all-mountain riders. K2 Contour Snowboarding Boot 2018 – Women’s – medium stiff boots with Double BOA lacing system, providing great support and yet flexible, suitable for backcountry and mogul lovers. Snowboarding Boots for Women: What to consider? Beginner snowboarder, it’s easier to wear, to turn and to walk around because it’s normally more comfortable. Park and ground tricks riders who want to do lots of tricks and jibbing, softer boots are gonna offer your ankle more freedom to move from different angles and to tweak out your grab so it’s easier to do all the presses and treats. Siff boots are more suitable for free riders, advanced freestyles like halfpipe, big kicker riders, carving fans or even racers, coz a pair of stiff boots are going to give you more support and extra responsiveness when you go really fast down the mountain. For all mountain riders or someone just wanna do a bit of everything, you may want to get a mid-range flex boot. Tips: Better to get a stiff boot than soft one if you have a weak ankle since you need better protection. Flex is kinda a personal choice, there is no fixed rule about how to choose the flex of your boots, it’s all up to you at the end of the day. Traditional laces tie up like all ordinary shoes. It is easy to repair, if a lace is broken, it’s easy to replace. It offers the most customized fit because its tighten up by hand. Cable system also known as the quick pulling system. You can get your boots really tight. Normally you can adjust the laces of the forefoot and shin separately so there is more flexibility. It is difficult to repair if you break a lace. Boa system is made up of metal laces and a dial, by turning the dial, your boots get tighten up. It is difficult to repair if the dials are broken. Tips: If available, pick a pair of boots with separate dials for the top and bottom section so you have the flexibility to adjust a bit on the tightness of your boots. Personally, I prefer quick pull system the most, since you can observe the conditions of the laces. So you can have it repaired before it breaks. The next component concerns about the lining system, also known as the liner of your boots. Being the part that’s directly touching, or wrapping up your foot, choosing a great liner will largely determine the comfort, grip, and warmth of your foot. Our suggestion is: try to pick a liner that is removable, because you can take them out and dry or air them after riding for the whole day, so you are with a pair of warm and dry boots the next morning. Also, you can alter a removable liner with some aftermarket heel straps to solve a pressure point problem. So yeah, do try to get a pair of boots with removable liner, however, we cannot ignore the fact that the price of attached liner boots may normally be cheaper though. Some boots containing a power strap in helping you to customize the stiffness. So now you have narrowed down your choice with flex and features, it’s time we look into the most important factors, fit. Fit is definitely the most important factors while come to choosing your boots. If your boots don’t fit well, you are going to have a miserable day on the mountain. Step 1: Measure your foot first, normally the staff will do that for your; or else just tell them your usual size. Normally your boot size is half size down your daily shoe size. Step 2: Tell them your standard, if you are intermediate to advanced snowboarders, you should be quite sure about what you want already if you are a beginner, normally they will pick something soft for you. Step 3: When you are given the boots, loosen the inner and outer laces completely first. Step 4: Slide your foot in, gently tap your heel onto the ground to make sure there is no space inside and your heel is snugly in place. Step 5: Make sure you try both boots though, the size of your feet may be different from others. Step 6: Tighten up your liners and tap your heel onto the ground again to make sure your heel and ankle all wrap well by the inner liner, then tighten up your outer laces, just like the way you are going for a riding. Ask the staff to help if you haven’t done that before. Step 7: Stand up, walk around a bit, then stop, now your big toes in the boot should actually be gently touching the end of the inner liners. Your toes should not be too squished, but then any kind of gap is also unwanted. This is because the liner is going to pack out and more space will be created and so lead to a gap will be formed after a few ridings. Step 8: Lean forward and backward a bit like you are doing toe side and heel side movement, your boots should still wrap your foot well and with not much space created. So according to the fact that “All Feet Are Different”, we can find a pair of boots fits well, but if we want a perfect fit boot? It may be a good idea for us to have it custom fit to your foot. So till now, we have talked about what to consider while picking your snowboard boots, let’s move on to what we have picked for you. The is a pair of light and warm Boots with quick-pull inner and double BOA outer lacing system, with a mid-stiff flex and heat moldable liner. Double BOA is always great because you can really tighten up your boots and the heat moldable liner gives you the possibility for custom fit your boots with a specialist. Who will love this boot: riders want to seek for top performance and yet want a slightly softer flex boot will love this, for examples, carving fans. This is a great value boot with traditional laces, removable and moldable liner. It’s solid and yet with great performance! Who will love this boot: Beginner to intermediate, ground tricks riders and jibbers. This world’s best selling boots are light, warm and comfortable. With a quick pull lacing system boots, with a soft flex and heat moldable liner. This is a pair of medium stiff boots with Double BOA lacing system, extra heel support, and very responsive boots. Flexible enough for hiking and yet provide highly shock absorbent. Who will love this boot the most: advanced to expert riders, backcountry and mogul lovers. Always try a few pairs of boots, even the first one is already great. Try the boots before buying it online, or else, buy from a shop you can refund or exchange if it doesn’t fit. Bring your snowboard socks with you and put them on when you test the boots. Always consider your riding style and ability before buying your boots, for example, freestyles? Carving? All mountain riders? It’s always good for you to go for a custom made footbed or insole, remember, “all foot is different”, mass production boots can fit great, but custom fit boots are perfect fit! I had my first custom fit insole done by a specialist called boots solution in japan and my performance just jumped to another level! Just same as the money saving rules I have mentioned in other two articles: best snowboard goggles and best snowboard jackets, always buy your boots in the city or online before heading to the mountain. However, you may want to have your foot-bed custom made in the ski resort area, since you may need several tuning before you can have your boots adjusted to perfect fit conditions. So that’s all I can think of about snowboarding boots buying tips and top picks. Just make sure you consider all these important factor: appearance, flex, features, fit, riding styles and price before hitting the check out button. 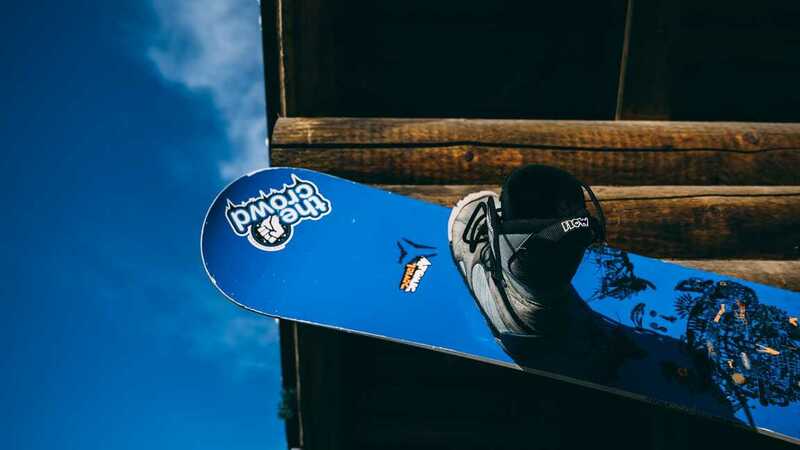 Hopefully you will find this article does make your purchase of your snowboard boots easier, and please kindly let me know if you have any comments or opinion about this article. Be safe and happy riding gals!